This is a nice and simple strip steak seasoned with a garlic and oregano wet rub. This recipe would go well with any grilled vegetables, whipped mashed potatoes, and perhaps some grill shrimp or lobsters for surf and turf option. Combine minced garlic, olive oil, and dried oregano in a bowl. Place steaks on a large plate and coat well on both sides with mixture. Cover lightly with plastic and place in refrigerator for 2 hours. Remove from fridge 30 minutes before going onto the grill. This will help the meat come up to temperature before coming into contact with heat. Place steaks on the grill and cook for 5 to 6 minutes per side, depending on thickness and desired doneness. Once cooked to preference, remove from heat and set onto a cutting board. Lightly tent with aluminum foil. Do not wrap tightly. Let steaks rest for 7 to 10 minutes. 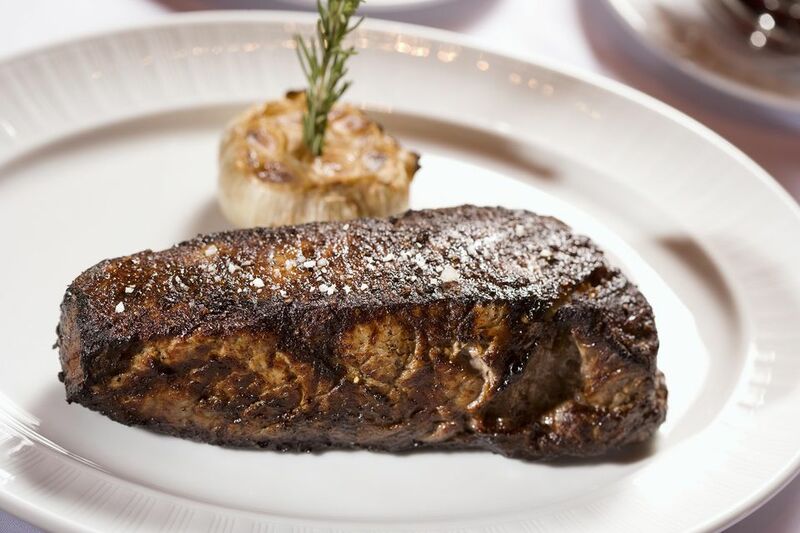 Slice and serve or serve steaks whole with your favorite side dishes.